The National Student Financial Aid Scheme (NSFAS) was designed to provide financial aid to needy students for tuition and accommodation. But NONDUMISHO KHOSA* found out the hard way that NSFAS can sometimes leave students in the lurch. She told Zimasa Matiwane her story. Iâ€™m from the Eastern Cape, and Iâ€™ve been studying for a diploma in journalism at the Durban University of Technology (DUT). I donâ€™t work, and my mother makes a little money as an independent seamstress. She takes care of me and my two siblings; my father is not in the picture.Â Currently, I owe the Durban University of Technology (DUT) R2,000 in outstanding fees, so I cannot register for my fourth year. This outstanding money is the fee for my accommodation while I completed myÂ Work Integrated Learning (WIL), a compulsory component that I had to undertake to complete my qualification.Â WIL began during the June holidays and continued through to December, during which time I was accommodated at theÂ DUT residences. WIL is in-service training, and in industry they do not go according to university school terms. I had a six-month contract, which started in June and ended in December. I had to abide by company rules and be available during holidays. I am from the Eastern Cape and had no alternative accommodation during this period, so I had no choice but to live at university residence during the June and December holidays. Altogether, this extra time in residence amounted to three weeks. I was told by DUT’s housing department that these costs would be added to my fees and because the National Student Financial Aid Scheme (NSFAS) paid for my residence and tuition fees, I expected them to pay this amount as they do my usual residence fees. 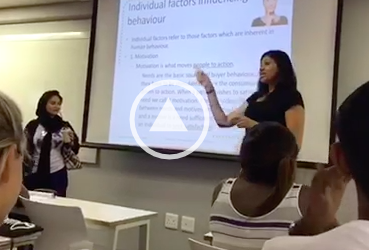 The three additional weeks that I spent at res outside the academic term were a necessary part of my studies â€“ if I didnâ€™t complete the Work Integrated Learning requirement, I would have failed. If that happened, I would have had to register for third year again, just to do that module, and that would have been a waste of time and NSFAS funding. My overall experience with NSFAS during the three years they funded me was not good.Â There was very little communication from their side. NSFAS councillors are allocated to students at DUT. They are the middle men who communicate between the students and NSFAS; students submit their applications to these counsellors and sign loan-agreement forms with them. The unfortunate fact is that we are part of a very large number of desperate and needy students. There is always a huge line of students waiting to speak to the councellors, so they are hardly ever available. Itâ€™s extremely difficult to make your case with counsellors and be well received. When I learnt of the outstanding amount in my fees, I approached my counsellor with a detailed statement and stated my case. But I was told that NSFAS policy is not to pay for â€œcasual stayâ€ at res. I asked what this meant and how this policy would apply to me because I had not stayed on at res at my leisure; I was doing the work integrated learning module that was required in order for me to complete my diploma. I asked how I was expected to pay this amount on my own, as the mere fact that I am on NSFAS means that I cannot afford to pay for my studies myself. The councillor was unable to addressÂ my grievances; heÂ told me that he had no power to overrule this, and that I would be blocked from the DUT system. This means I cannot register for 2015 until I pay the outstanding balance. He advised me to go to the finance department at ML Sultan campus to try to get a financial plan. This means signing a document that would require me to payÂ the outstanding R2,000Â during the course of the year as a self-payer. Doing so would allow me to be â€œunblockedâ€. I have so far been unsuccessful in doing this, as the finance department has not started attending to financial-plan applications yet. Meanwhile, registration has begun and I have not been able to register. I have been fortunate enough to find a sponsor for my postgraduate studies, but I am still facing this problem of the outstanding balance from last year. My biggest concern is that this issue will not be resolvedÂ before late registration starts. Late registration fees are higher than normal registration fees, and I donâ€™t know if my sponsor will be happy to pay the higher fee. This may mean that I will be required to pay the late registration fee as well as the R2,000 that NSFAS did not pay for the time I spent at res while completingÂ my work integrated learning. I think it would be helpful if NSFAS told students about these types of policies beforehand. 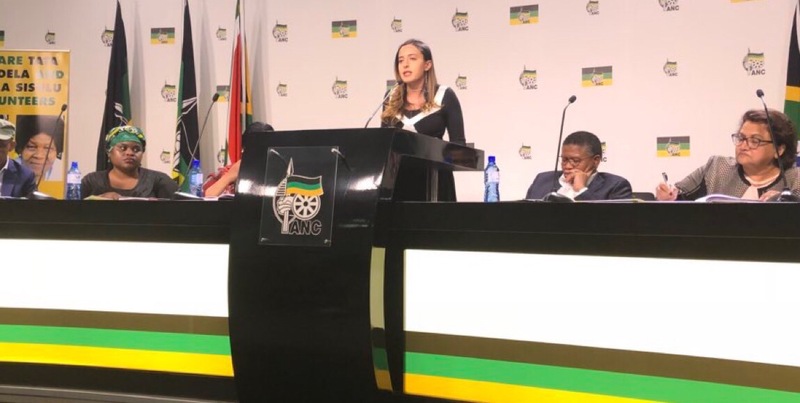 At the very least, they could make sure that councillors run workshops with third-year students, so that they are aware of any costs that they might incur while completing their degree that are not covered by NSFAS. Situations like these are stressful and costly. It still puzzles me that NSFAS does not pay for accommodation during school holidays for work that I was required to do to complete my degree â€“ a degree that NSFAS agreed to fund. – As told to Zimasa Matiwane. – Featured image by Zimasa Matiwane. 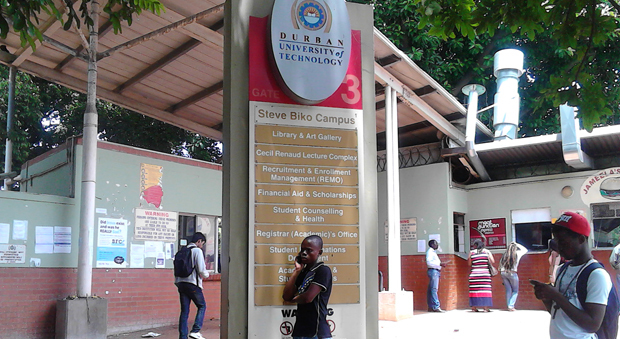 Zimasa is a journalism student at the Durban University of Technology (DUT). She has written for the community newspaper Satyagraha and DUT journalism’s online newspaper Journalism Iziko. Are protests the only way to a gain a university education?